More widely adopted than any other safety code, the NEC protects the public by establishing requirements for electrical wiring and equipment in virtually all buildings. Stay competitive and up-to-code with industry-driven changes that boost public safety, emergency preparedness, and worker protection. Be prepared to comply in the new era for electrical safety. The NEC protects the public by establishing requirements for electrical wiring and equipment in virtually all buildings. The field's most important document is revised based on new technology and industry needs. 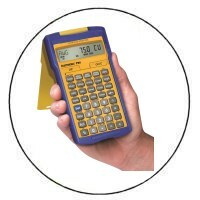 Order your 2008 NEC to stay competitive and up-to-code! Revisions in the 2008 NFPA 70™: National Electrical Code boost public safety, emergency preparedness, Code usability, and worker protection. Revised requirements for AFCI and GFCIs in dwellings. Since arcing faults on wiring systems and extension cords can cause home fires, the Code expands AFCI use to living areas. New rules for tamper-resistant receptacles respond to NEISS reports that thousands of children are treated in hospitals every year for burns received as a result of inserting objects into receptacles. New provisions in Article 210, Article 410, and elsewhere in the Code reduce worker hazards and correlate with NFPA 70E® worker safety rules. Usability changes facilitate your work! You'll find greater consistency in grounding and bonding terminology…new shading behind revised text that lets you see what's new at a glance…and new identifiers at the top of each page in the NEC index for speedier referencing. 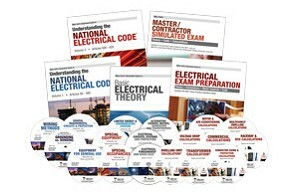 Need help in passing the apprentice, journeyman, or master electrician's exam? If you’re getting ready to take the electrician’s exam and drowning in pages of tables, rules and exceptions, here’s the book you need. This is a book of questions and answers based on actual electrician's exams over the last few years. Includes a CD-ROM with all the questions in the book in interactive test-yourself software that makes studying for the exam almost fun! Orders over $300 ship FREE to 48 States!